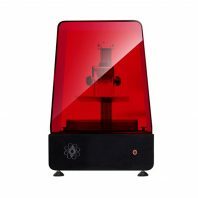 The Da Vinci Mini 3D printer is an affordable, easy to use and safe 3D printer ideally suited for the home, great for education and releasing children’s imagination. It’s plug’n play set-up, single button printing and LED printing indicator make it extremely easy to use. You can print from anywhere in the home as it is WiFi enabled so can connect to your home, classroom or office network via the XYZware software or via the XTZapp. It is both Productive and compact, the ideal first time users 3D printer. 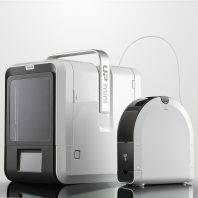 The goal with the Da vinci Mini is to make an assesible, easy to use 3D printer. 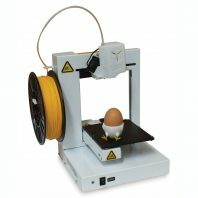 Not only is it plug’n play but also printing can be started with the push of just one button. 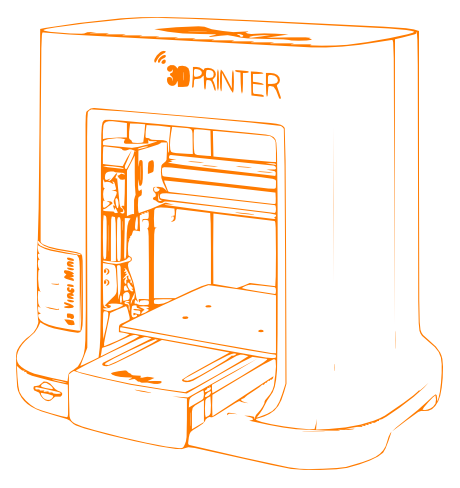 You can then monitor your 3D print via the simple LED traffic light system, Red is an error, Amber is for pause or resume and Green shows that the your printer is ready to print or that your print has completed. As with all of the XYZ printing range, it comes calibrated and can automatically adjust during printing. 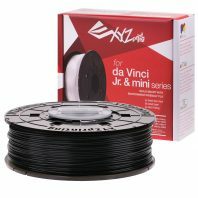 Da Vinci Mini filaments use Da Vinci Junior PLA, a biodegradable and non-toxic plastic filament that is guaranteed to be DEHP and heavy metal free making for a safe printing environment that is friendlier for the environment. It also comes with an optional protective cover ensuring that the printing area is safe from prying small hands. 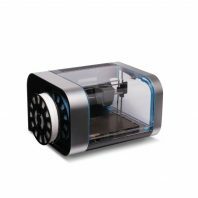 Whilst the Da Vinci Mini takes up less desk space than the da Vinci Junior 1.0 and has a 15cm x 15cm aluminium print bed so you can 3D print good sized models in your home but it is less of an intrusion in your office. WiFi connectivity means that you can print from anywhere when you connect it to your home network and also remotely using the XYZapp. The Da Vinci Mini shares a similar design to the Prusa i3 in how the model is built up in the XYZ build area but of course with a lot more features and it does not require the same level of know how to calibrate and run. XYZ printing’s software is easy to use and will upgrade automatically so that you can be sure you have the latest most upto date version. 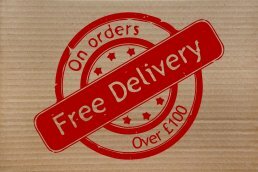 It is also very easy to download and upload designs from and to the 3D printing community. 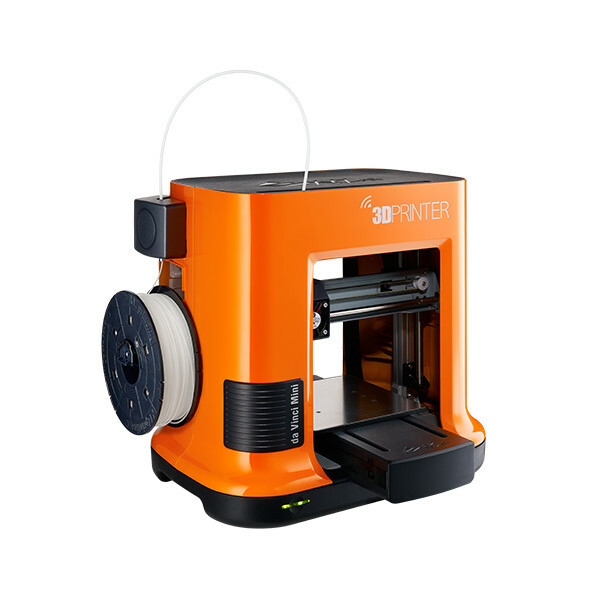 It is very easy to use and will have you printing your first designs in no time. The latest XTZware update includes new slicing and print quality functions, improving slicing precision and computing efficiency as well as shortening the preparation time required before printing. 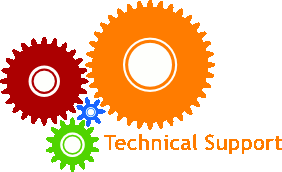 System Requirements: Windows 7 and above (for PC), Mac OSX 10.8 and above (for Mac) – Note: Standard VGA driver on operating system, or a graphics card doesn’t support OpenGL 2.1, may cause unknown error in XYZware.